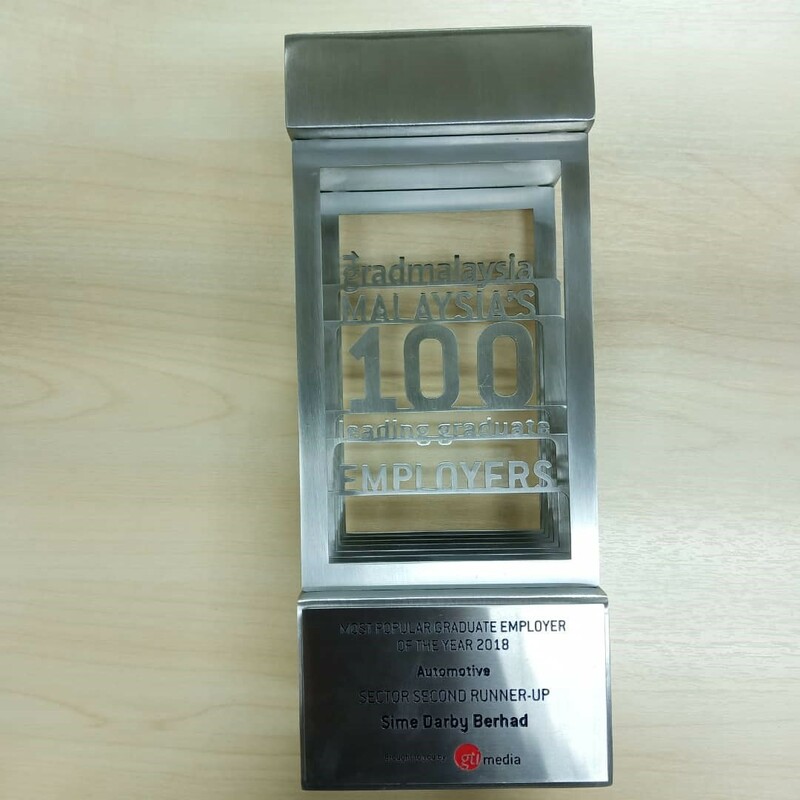 SECOND RUNNER-UP: SIME DARBY BERHAD "THE MOST POPULAR GRADUATE EMPLOYER IN AUTOMOTIVE 2018"
M100 is the largest graduate recruitment award in Malaysia, and the benchmark for employer branding excellence on-campus! Thousands of votes from undergraduates and recent school-leavers are tallied each year, to decide the winners of 18 highly-competed-for awards that recognises the most popular graduate recruiters in all of Malaysia. It is the largest and longest-running study on graduate recruitment trends in Malaysia. On 8 November 2018, with much anticipation and excitement, the leading graduate employers of the nation came together at the 2018 M100 Awards Night to celebrate the results of the Malaysia's 100 Leading Graduate Employers. All in all, the gala awards ceremony recognises the most outstanding graduate recruiters in the country via The Overall Awards as well as those who stand out within 18 key industry sectors via The Sector Awards.